The Red Sox have signed Pedro Martinez! However, it’s not to pitch for us, even though he is probably still better than 90% of our team. His new position will be Special Assistant to the GM. 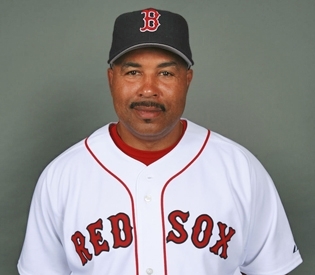 This is the second former player that the Sox front office has brought in, after Jason Varitek was given the same title over the off-season. These two have been brought in to assist with the development of young pitchers. Pedro won 2 Cy Young Awards here and a World Series ring. In his career, Pedro is 219-100 and recorded 3154 strikeouts. We all know all about his fun attitude and intensity for the game. Why not bring in some leaders that can still relate to the players? Especially when they are proven champions. While there may not be much interest in this year’s World Series from Boston fans (as the Yankees aren’t there to root against and hate with a passion, and the Sox aren’t in it to win it) Red Sox fans are still baseball fans at their core and one thing every baseball fan loves is…the long-ball. 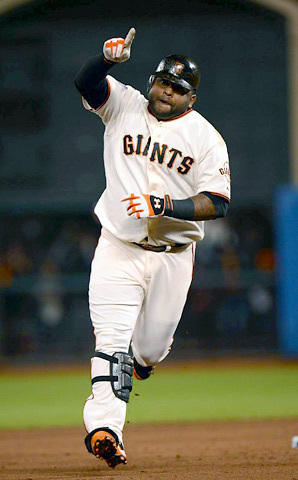 Panda Power: Well, San Francisco Giants 3B Pablo “Kung Fu Panda” Sandoval offered plenty of firepower for San Fran fans and baseball fans alike with not 1, not 2, but 3 homeruns to help the Giants cruise to an 8-3 victory over the Detroit Tigers in game one. San Fran pitcher Barry Zito went 5 and 2/3 innings allowing only 1 earned run and 6 hits. Shocking Start to the Series: Sandoval and Zito surprisingly outperformed the likes of Triple Crown winner, Tigers 3B/1B Miguel Cabrera and last year’s Cy Young winner/MVP Tigers ace pitcher Justin Verlander (Cabrera went 1 for 3 with an RBI, Verlander gave up five earned runs in just four innings of work). Historic Highlights: Not only did Sandoval and Zito shine but they made a mark in World Series history. “Kung Fu Panda” and his 3 towering homers added him to a prestigious list of October Sluggers. 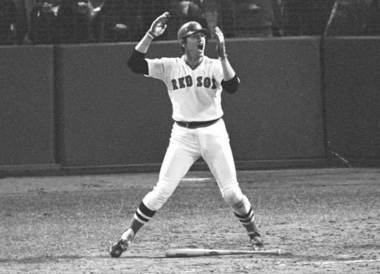 Sandoval joins Babe Ruth, Reggie Jackson, and Albert Pujols as the only players to hit 3 home runs in the World Series. Meanwhile Zito made history with the help of Tim “The Freak” Lincecum as it marked the 2nd time in World Series history that one Cy Young award winning pitcher came in to relieve another Cy Young Award winner (Zito won it in 2002 with the Oakland A’s, Lincecum in 2008, and 2009 with the Giants). The 1st was in the 1983 World Series when Jim Palmer came in to relieve Mike Flanagan against the Philadelphia Phillies. When 2 Watch: With the victory the San Francisco Giants lead baseballs fall classic 1-0 over Detroit. Game 2 has both teams back at AT&T Park in San Francisco tonight at 8pm on FOX . 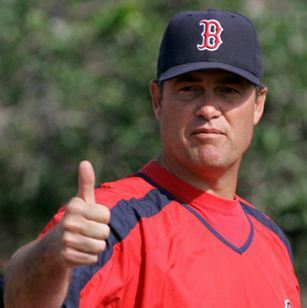 Just 17 days after Bobby V was fired, the Red Sox have hired former pitching coach John Farrell, who is 50 years old. The other day, I wrote an article asking who everyone would want as their next manager. Most people chose Demarlo Hale who was also in the organization before. 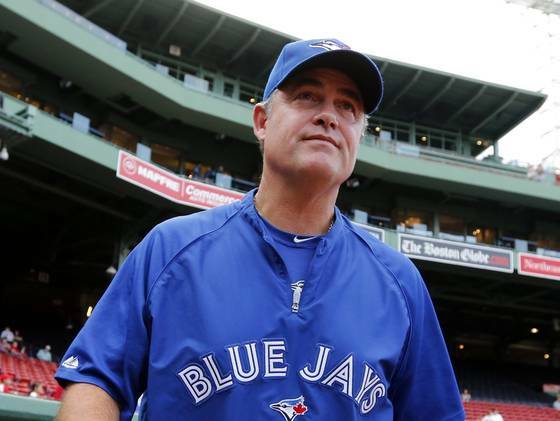 However, all along, most people knew that the Sox were going to try to get the Blue Jays to allow Farrell out of his last year on his contract. We had to trade shortstop Mike Aviles, but most don’t seem to mind. Jon Lester welcomed him back through a tweet, David Ortiz proclaimed his love for his “main man”, and I think most fans are okay with this choice. Don’t be fooled, the Sox are far away from being the team that they have been in recent years. Farrell had told the Blue Jays GM that it was his dream job, and that if someone contacted them, he would like the opportunity to speak with Boston. Shortly thereafter, Red Sox owner John Henry called Toronto’s CEO and got things moving. While John Farrell was the pitching coach in Boston from 2007-2010, including one World Series Championship, the Sox Pitching Staff was first in the American League in strikeouts, Opponents’ Batting Average, and Shutouts, and 3rd in ERA. You don’t need to be a genius to figure out that those numbers are far above and beyond what they were this past season with Bobby Valentine at the helm. Do you like this choice? This is not only a Boston sports site, this is an Anti-Yankee site. That being said, what is happening with Alex Rodriguez is just hilarious to me. Joe Girardi sits him and then has to make up excuses like, he is only bad against right-handers. While riding the pine, A-Rod put a note on a baseball trying to get a woman in the stand’s phone number. She was an Australian Bikini Model, but still. Now, there is a rumor going around that the Marlins and Yanks may be in talks of a A-Rod trade. But will A-Rod actually take his talents (or lack thereof) to South Beach? A source said that Yankees President Randy Levine told his good friend, the owner of the Marlins, Jeffrey Loria, that “he can have him.” It is expected that Miami is the only place that Rodriguez would consider accepting a trade to. He has 5 years and $114 million left on his contract. Do you think Miami would be stupid to trade for him? LA Dodgers third-base coach Tim Wallach: 55 years old, played 3rd base for 16 seasons, 5 time all star. He has only been a minor league head coach, but has been a hitting coach and third-base coach in the majors. SD Padres special assistant Brad Ausmus: 43 years old, the only candidate without experience as a coach or manager. 1-time All-Star in 1999, 3-time Gold Glove winner. Baltimore Orioles third-base coach DeMarlo Hale (Pictured): 51 years old, only played 4 seasons (split between Oakland and Boston), left the Sox when Francona did. He is the most popular choice of the candidates so far. He is known for his down-to-earth coaching style and knows how to treat and adapt to each player, unlike Bobby V did last season. He was a minor league coach in our organization for years as well, this guy could be the best choice to keep the job ‘in the family’. 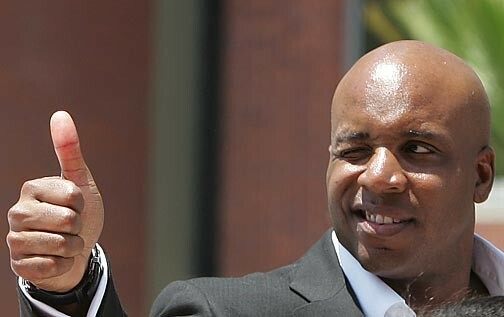 Who do you think the Red Sox should choose as their next manager to rebound us from our horribly disappointing season?